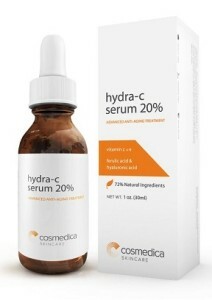 What does the Cosmedica Hydra-C 20% Serum do? The Cosmedica Hydra-C Serum has a clinical strength 20% vitamin C formula, which stimulates collagen production and cellular repair, giving you a more radiant and youthful looking complexion. With all of the antioxidants in this vitamin C facial serum, any damage from free radicals, environmental pollution and excessive sun exposure is minimized and your skin is continually protected from further damage. 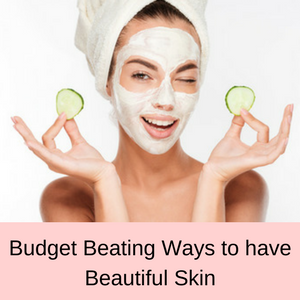 Your skin looks fresher, brighter with a more even skin tone, hyper-pigmentation is reduced, age spots and sun spots minimized, fine lines and wrinkles reduced and your skin is more nourished and hydrated. Stimulates collagen and plumps up skin. Fortifies against free radical damage. No fillers, synthetic dyes or artificial fragrances. Made in an FDA approved facility in the USA. Who should use Hydra-C Serum? 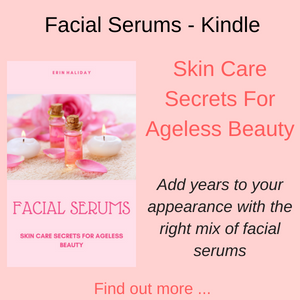 Anyone who is concerned about fine lines and wrinkles, sun damage to their skin or pigmentation issues will benefit from using this vitamin C facial serum. 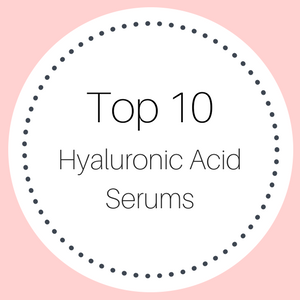 Also, if your skin just looks tired and dull and you want to refresh and brighten your skin, giving your complexion a healthier appearance, then the Hydra-C is definitely a serum you should include in your beauty routine. How do you use the Hydra-C Vitamin C Serum? Once you have cleansed your face, pat your skin dry and gently pat a few drops of the serum onto your face, gently massaging it into your skin. The serum will absorb very quickly and then you can follow up with your moisturizer. You can use this vitamin C serum daily, in the morning or at night, although vitamin C serum is usually best used at night time. 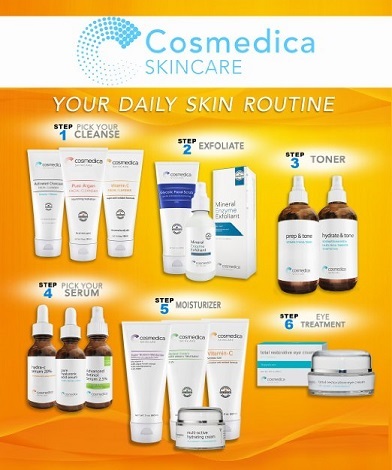 Cosmedica skincare products are manufactured in an FDA approved facility in the USA. All of their high quality ingredients are also sourced in the US and are free from parabens, fillers, synthetic dyes or artificial fragrances. 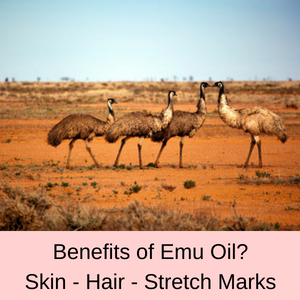 They are not tested on animals and Cosmedica is an environmentally conscious company. The Hydra-C vitamin C serum contains vitamins C and E, Ferulic acid and hyaluronic acid. Vitamin C is a super antioxidant, which is essential in repairing our cells due to the aging process, sun exposure, pollutants and just wear and tear. 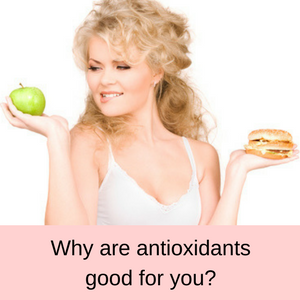 Antioxidants are great for reducing hyper-pigmentation in your skin and giving you a more even skin tone. 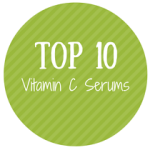 Lots of people swear by vitamin c for reducing their sun spots and age spots as well. Vitamin C also promotes the growth of collagen in your skin, giving your complexion a much plumper and younger appearance. Overall, your skin looks healthier, fresher and more youthful – when you include a vitamin C serum in your beauty routine. Hyaluronic acid is a super hydrator, sometimes known as the fountain of youth, because it is such a great moisturizer for our skin. Hyaluronic acid can absorb up to 1000 times its own weight in water and penetrate deeply into your skin, rehydrating dry, tired and dull looking skin and giving you a more youthful look. 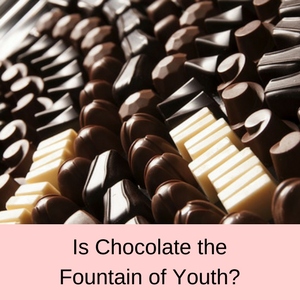 It is also essential in the production of collagen, because the collagen cells need to be bathed in fluid for them to produce collagen. 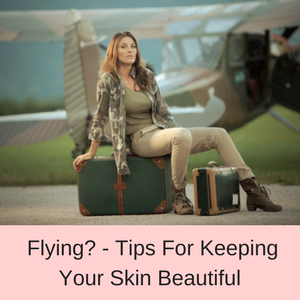 When you skin dries out, the production of collagen slows down as well, giving you an older, more drawn look. So when you use a serum that includes hyaluronic acid, your skin becomes more hydrated and collagen production is again stimulated – making your complexion look plumper and younger. Vitamin E is a well-known antioxidant that helps to moisturize your skin and reduce pigmentation issues, such as age spots and sun spots on your skin. Women have used vitamin E for many years in their daily beauty routines and having vitamin C and E in the same serum gives your skin a serious regenerative boost. Ferulic acid is one of the most potent antioxidants, so having this with vitamins C and E really ramps up the restorative effects of your serum. 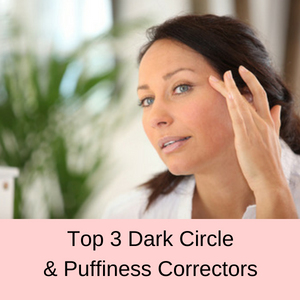 If your main problem is sun damage and uneven pigmentation on your skin, then a serum containing these three ingredients is exactly what you need to brighten and freshen your skin tone. PROS: The majority of customers love this serum with more than 80% giving it 4 or 5 stars in Amazon. CONS: Very few people gave this vitamin C facial serum only a one star rating, mainly because they didn’t like the consistency of the serum (watery rather than gel-like) or they didn’t see any improvement in their skin. This product made me feel and look human again. My pores have nearly disappeared, my skin looks brighter, and I have my cheeks back! I use this after derma roller……Love It! Great for collagen production! Will definitely buy again. I have been using this morning and night for a few weeks now and my skin feels so smooth. Oh, and I’m 61. I’m so glad to have found this. I’ve been getting so many compliments lately and I will continue to use this serum regularly. 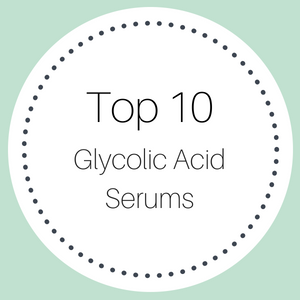 One of the great things about the Hydra-C Serum is that it is manufactured by Cosmedica Skincare, a well-known company that sells a lot of high quality skincare products. Their mission is to create skincare products with the most advanced ingredients giving you unparalleled results. All of their ingredients are sourced in the USA and they offer a no-questions asked, money back guarantee. You can check out their complete skincare range here. 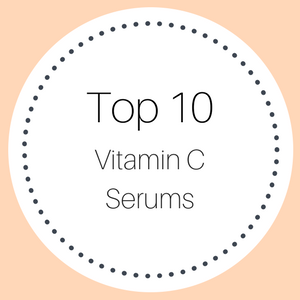 Read my Top 10 Vitamin C Serum Picks here.